Being ill last week meant food was the last thing on my mind, so I'm really behind with my meal planning - it also doesn't help that it can be quite hard to pin down my boyfriend about what he wants to do and whether we are likely to be at my house or his or out for dinner! On the plus side, being ill last week meant I lost a whopping 5 pounds and *finally* got my half-stone award (and then some) at Slimming World. I'm a bit worried that I'll put at least some if not all of that weight back on this week though, now I'm not spending half the time in the bathroom! Dinner Salmon, squeeze of lemon juice, new potatoes, veg - really in the mood for fish. Did I stick to it? Breakfast: Mullerlight (free). Cheese triangles (option a), crabsticks (free). Slimming WOrld Hi-Fi bar: 3 syns. Diet coke (free). Lunch: soup and bread (free/option b). Weightwatchers strawberry and vanilla mousse (4.5 syns). Another Hi-Fi bar (3 syns). Dinner:salmon, new potatoes, veg (free). Choc ice - don't have packaging, estimate 7 syns. 2 finger Kitkat 5.5 syns. Dinner - The Other Half (OH) is coming for dinner, I bought a ready-prepared meal of chicken breasts with cheese wrapped in bacon - I wouldn't usually as this is so easy to make myself, but it was reduced and therefore actually cheaper than buying plain chicken breasts. Need to check how many syns... will serve with roast potatoes if I get home in time, and gravy and veg for me. (The OH doesn't like gravy, he's weird!). Did I stick to it? Breakfast: was far too hungry for just a yogurt so had cereal (option b). Morning snack: Hi-Fi bar (3 syns), noodle Mug Shot (free). Lunch: salmon, leftover new potatoes and veg in the microwave at work - free. Went to the gym at lunchtime. Afternoon snack: Weightwatchers smokey bacon crisps (4 syns). Low far cheese triangles (option a). Dinner: Tesco Simply Cook Chicken Breasts topped with Cheese & wrapped in Bacon, as above - absolutely amazed to look it up on the SW website and find it only has 2 syns (for the cheese) - I thought it would be a lot more! Roast potatoes and veg with it - free. 1 Maryland chocolate chip cookie - 2.5 syns. Not bad that I stopped at one given my boyfriend ate half a packet! Total syns for the day: 11.5 - a lot less than I was expecting given how much I've eaten today! Total syns for the day: 37.5. Sausages are really going to have to be an occasional treat. Did I stick to it? Breakfast: cereal (option b). Morning snack: Hi-Fi bar (3 syns), Weightwatchers smokey bacon crisps (4 syns). Lunch: risotto rice with leftover butternut squash (4.5 syns)., Weightwatchers strawberry mousse (4.5 syns). Went to gym at lunchtime, which was horrible as the air con wasn't working! Can't remember if I had an afternoon snack... don't think so? As for dinner... I hang my head in shame. I went to McDonald's! It's kind of my boyfriend's fault... I had tickets to see a play called the Maids this evening, which I really wanted to see as it was one of the first texts I studied at university (Jean Genet's Les Bonnes, as part of my Modern and Medieval Languages degree). My boyfriend said he would come if I couldn't find anyone else, and as it happened, nobody else was free or wanted to come - I wonder what exactly it was about French existentialism that put them off?! Then at the last minute my boyfriend said he had to help his mum with something that evening (sigh) so I decided that rather than miss it, I would go on my own. I needed somewhere for a quick dinner, and I didn't fancy paying a lot or sitting in a nice restaurant by myself, and there was a Mcdonalds nearby, so I popped in there. In my defence I can't remember the last time I went to Mcdonalds! I bet it will show up on the scales though....I had a quarter pounder with cheese, which I now learn is 24.5 syns (oh dear...) and medium fries, which are 11.5 syns. At least I had a diet coke, which is free! But coming home from the theatre afterwards I had a cherry coke which is 7.5 syns. I also bought some nail varnish and a necklace, I'm not sure whether it was being stood up by my boyfriend or the rather dark and sinister play I saw that meant I needed cheering up! Total syns for the day: Oh dear I don't want to add it up.. OK, grits teeth... 59.5. By far the worst day I've had these past 4 weeks! Lunch Depends if I had time to prepare anything last night - could have pasta Mug Shot that I keep at work (free) or buy something otherwise. Did I stick to it? Ryvita (option b) and Philly light. Morning snack: Skips (4 syns), crabsticks (free). Lunch: bought a sandwich as I got home at midnight last night and was too tired this morning to prepare anything - which will teach me. A simple ham sandwich from Sainsburys (OK with mustard mayo) was 15 syns! Also had a Hi-Fi bar (3 syns).For reasons that I don't understand, I was absolutely ravenous this afternoon. I had another Hi-Fi bar (3 syns), another packet of Skips (4 syns) and a Snickers from the office vending machine - something I've not done in months. And now I know one of them has 15 syns, I won't be doing that again! But after all that I still felt hungry so had a hot chocolate, not sure how many syns but I will guess 5. And that's all before I go out this evening... and I'm still craving carbs! Dinner: at London Zoo Lates with my boyfriend which was really good fun! I ate a burger in a bun - guessing 18 syns. Chocolate brownie - guessing 15 syns. Pint of cider - not sure, about 8 syns. Total syns for the day: I've lost track but I think about 80, which is dreadful - I couldn't stop eating today! Lunch Pasta and cauliflower cheese bake - adapting a Slimming World recipe which will make it 2.5 syns. DinnerNo idea what I'm doing yet, could be out or at my boyfriend's. If we're at my house I might make something from the Slimming World curry recipe book. Did I stick to it? Breakfast: Stayed at my boyfriend's and didn't have any breakfast, then went to Slimming World then the supermarket so was starving by 11am... bought a Danish pastry and ate it at the bus stop! Oh dear... 15 syns. Made the pasta and cauliflower cheese bake for lunch - 2.5 syns. Went to my boyfriend's sister in law's at 5pm and stayed there til 8, so by the time we got back to his house it was 8.30 and we were starving... cooking just seemed like it was going to take too long so we went to the chip shop. Oh dear, oh dear! Had a saveloy - 6.5 syns, chips 17.5, onion rings 10 syns. At least I had diet coke which was free! Total syns for the day: 51.5. Really not good after yesterday! Unsurprisingly when I had my weigh-in today I found I'd put on 2 pounds! Though I was ill the week before and lost 5 pounds, which I didn't realistically expect to keep off... and so over two weeks I've still lost 3 pounds. Breakfast- Could be at my boyfriend's or he could be at my house. If we're at his, I'll have a sausage sandwich with 2 Quorn sausages (2 syns) and brown bread (option b) which will also cover lunch. If we're at my house I'd like to do the turkey ciabatta I planned last week which will count the bread as the option b choice and a few syns for some cheese. Did I stick to it Brunch: bacon roll (free). As we finally had some nice weather we decided to have a bbq, and went off to pick a few things up. They already had burgers and sausages at home but I felt I really couldn't face eating anything like that after the past few days, so I picked up some fish - a special bbq from frozen range at Tesco where the products were 3 for £5. I had two tuna skewers, some prawns and some salmon, which was delicious, and all free- well, I will count 2 syns for any potential marinade. I had it with a baked potato with marg - so 2 syns for that - and not a burger in sight! I did have a glass of wine though for 6 syns. Total syns for the day: 10 syns, probably the healthiest bbq I've ever eaten! I hope you have a fab time at the zoo! Well done on the half stone award. Sorry it was lost through illness. I do hope the rain stays away for you. I keep looking at the forecast in hope there will be a sunny day. 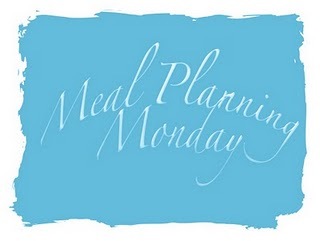 I started SW again this week, will be keeping an eye on your meal plans so I can pinch all your recipes! Good luck for this week!